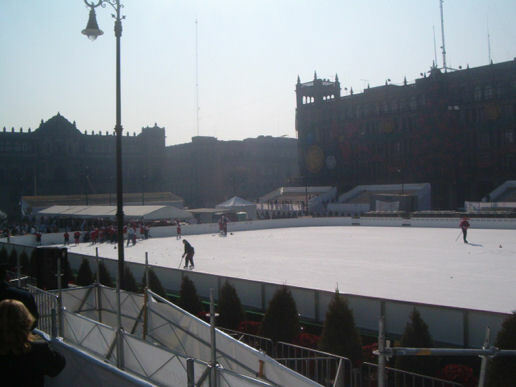 They put an ice rink in the zócalo(center city square) with ice hockey demonstrations. 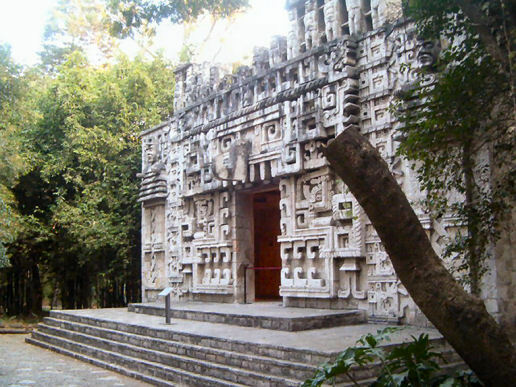 That was, umm, unique for Mexico. The locals said that is the first time they’ve ever done it. 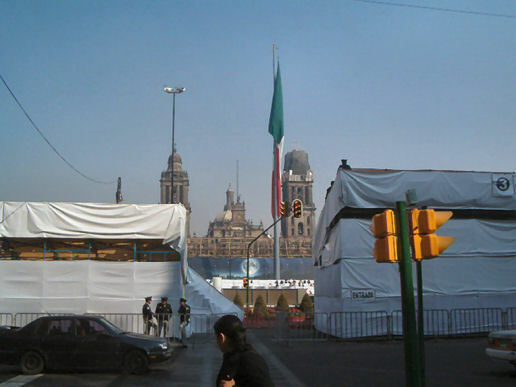 Shot of the zócalo, with a gigantic Mexican flag in the center and a large cathedral at the rear. 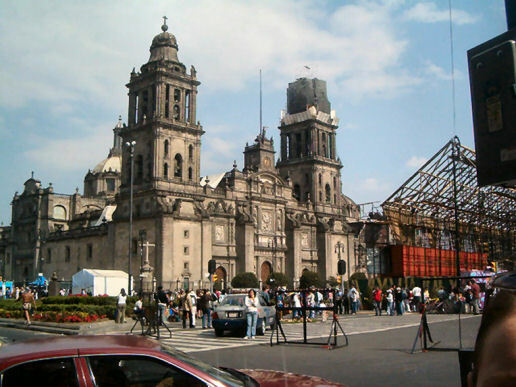 Another shot of the cathedral. 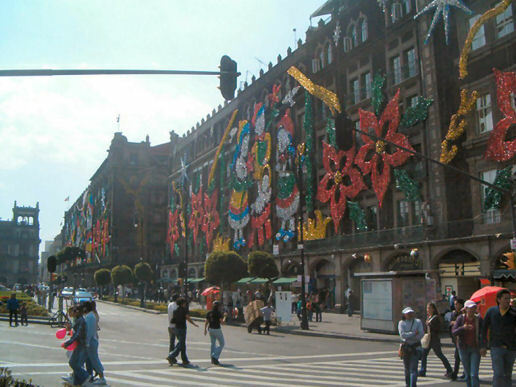 I couldn’t believe how decorated the zócalo was for Christmas. It was really cool. 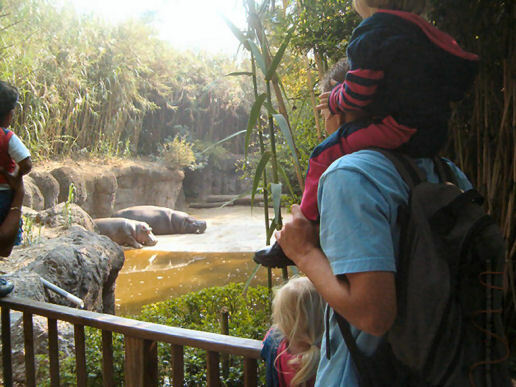 The girls enjoyed a trip to the zoo, which was free – who knew?! That’s our friend J.C. from Mission Training School who was with us for the day. 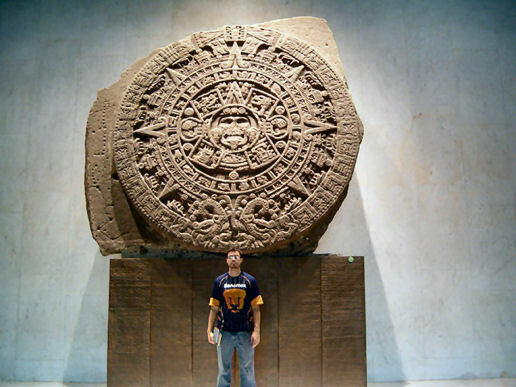 Above him is an Aztec calendar. 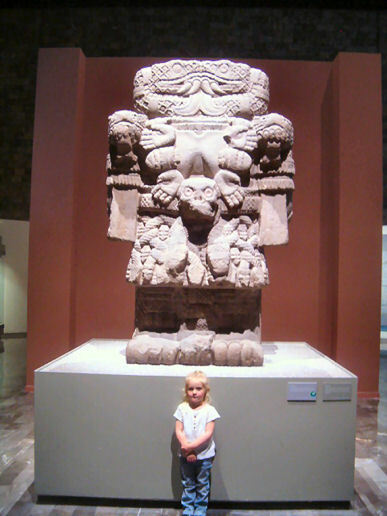 One of the few times Lauryn stood in one place She’s in front of a statue of Cuitlahuac, for whom her kindergarten is named. 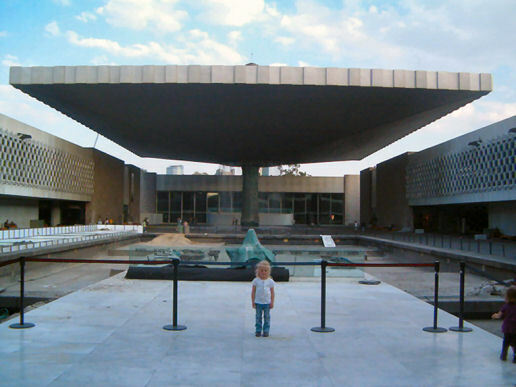 This roof at the museum is held up only by that central column. Pretty impressive! 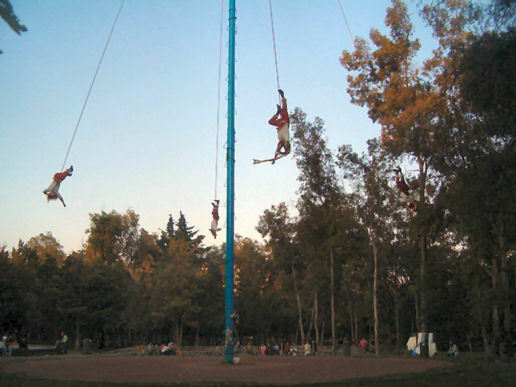 This was interesting – We didn’t catch the whole performance, but these guys spin around upside down until they’re hanging way high up, then they spend several minutes unwinding while they chant, play drums, etc. 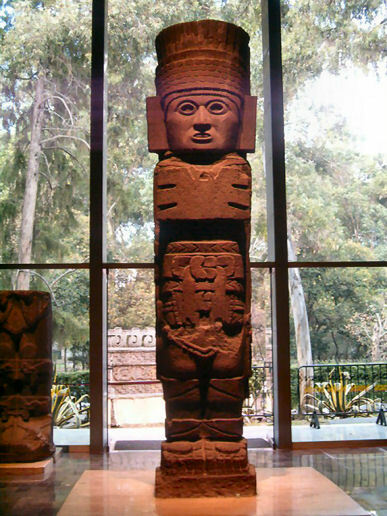 This was in the huge park (Parque de Chapultepec) that the zoo, museum of anthropology, and President’s house, among other things, are in. 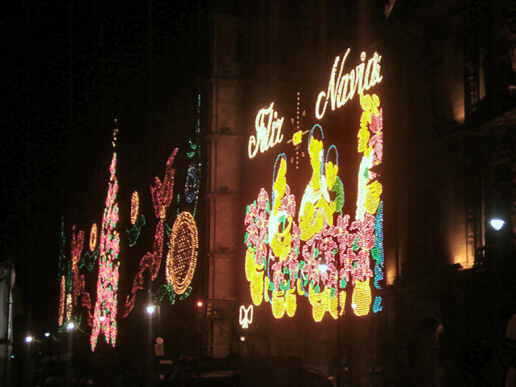 The Christmas lights all around the zócalo were spectacular at night – the photo doesn’t do them justice. By the end of a long day, Molly was asleep standing up. 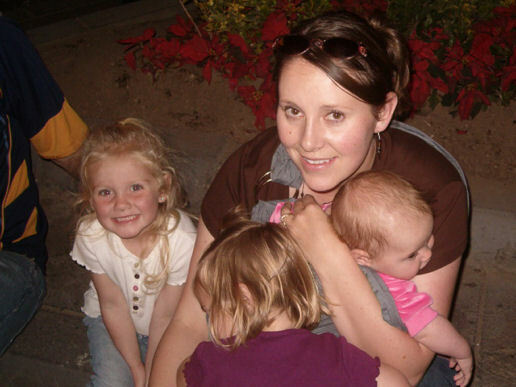 This entry was posted in Family, Photos on January 12, 2008 by Chris.